Congratulations for having chosen Enlighten Laser & Skin Care Clinics as an opportunity of interest. You are now benefiting from a ground floor opportunity that is sweeping Canada. 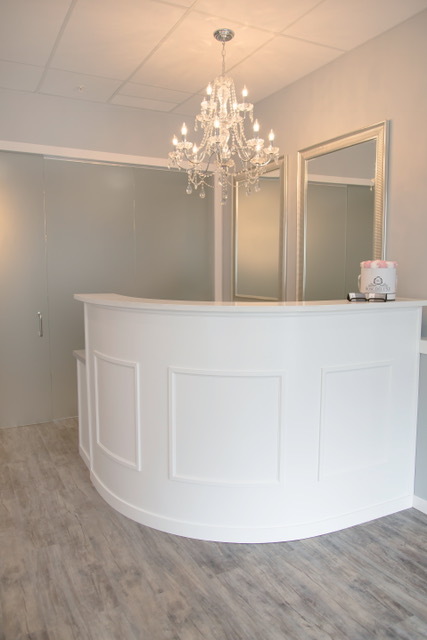 Enlighten Laser & Skin Care Clinic is Canada’s only completely full service laser and spa franchise system offering the latest in technologically advanced laser treatments, clinical aesthetic services (for face and body, including hands and feet) and specialized relaxation equipment. 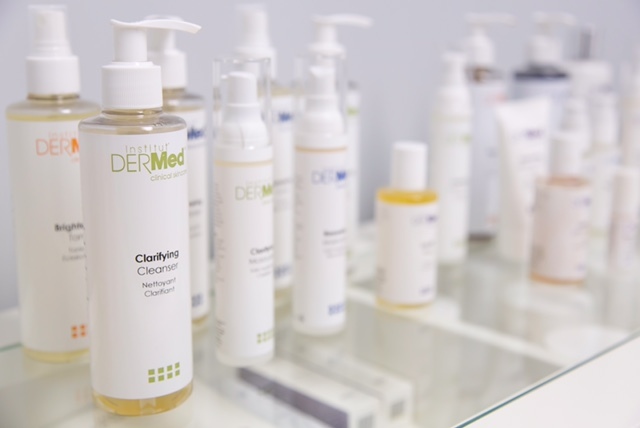 Additionally our locations use and sell high quality skincare products clinically proven to be effective and produce results. In business since 2008, Franchising since 2010 Enlighten Laser Laser & Skin Care Clinics now boasts 8 locations and growing across Canada. As an Enlighten franchisee you will have the luxury of working with an experienced franchisor to deliver the best in customized and personalized services and products to an ever growing clientele. In fact, the beauty industry is seeing tremendous growth as compared to many other industries as cutting edge procedures become available to the masses. Our unique “membership” revenue model ensures a steady cash flow from the first day of operations. In fact, the fees are so affordable that practically anyone can become a member and treat themselves to the vast offerings of an Enlighten franchise. Our franchise removes the stress of design, construction, equipping and pre-opening set up of the location. Of course all this is done with your support but we do the heavy lifting of the implementation of the store opening plan. We also offer comprehensive training and support on spa operations and first in class training from our vendors and suppliers. We get you into business and making money fast! Not only do you have revenues from the first day but your return on investment is quick, meaning you make more money faster. If you enjoy working with and pampering others, have some supervisory experience and fabulous interpersonal skills, have some familiarity with the beauty industry, marketing and/or sales, this is a hand’s down perfect choice for you. You don’t have to have all of them but in general, this is what we look for as the profile of a successful franchisee. If your interested in learning more about the Enlighten Laser & Skin Care Clinic franchise system. How much-unencumbered cash do I need to get started? Prospects are required to have approximately $50,000 to $80,000 unencumbered liquid capital available for investment and the rest may be financed through a financial institution. Generally, financing is made via the Small Business Loan Program of the Government of Canada available at all Chartered Banks. How much does it cost to purchase an Enlighten Laser Franchise? The cost of a full built out franchise varies from $150,000 to $300,000 (CDN$ plus applicable taxes). The exact amount is dependent upon many factors such as the size and condition of the location selected. Does Enlighten Laser provide financial assistance? No. Enlighten Laser does not finance franchisees however we do provide assistance to the franchisee in arranging financing through one of the many accredited lending institutions. Enlighten Laser will provide assistance with your business and financial plans. Yes, you pay a one-time non-refundable Initial Franchise Fee of $29,900 upon signature of the Franchise Agreement. In addition to the Initial Franchise Fee, there are other costs common to the start-up of any business such as rental or utility deposits, permits, incorporation and professional fees and the like. What is included in the Initial Fee? A comprehensive Training Program provided by us as well as training on all the equipment provided by the equipment suppliers. Note that all travel and meal expenses are at the cost of the franchisee. The use and maintenance of all Enlighten Laser manuals, marketing materials, and all other resources. Start-up and ongoing support from the Head Office personnel in areas of operations, marketing and IT. What is covered in the Training Program? We provide you with all the training you will need to successfully operate your franchise, including the administration and back office duties. The cost of initial training and course materials is included in the Initial Fee for up to two (2) persons which must include the franchise owner. All costs of travel, meals and accommodations are at the franchisees expense. The training program is conducted after the signing of the Franchise Agreement and payment of the Franchise Fee and before the business can open for operation. Satisfactory completion of the initial training program is mandatory. In addition to the Initial Investment of an Enlighten Laser franchise, what on-going payments am I required to make during the term of the Franchise Agreement? What is the Term of the Agreement and do I get to Renew? The Initial Term of the Agreement is the same length of time as the Bank Loan so usually 5-7 years. There are 2 five (5) year renewals providing that the franchisee meets certain conditions, which can include a renovation of the premises, payment a renewal fee and others. Site selection is critical to the success of an Enlighten Laser & Skin Care Clinic and each site must be approved by us in writing. Site selection is a collaborative effort. Often we have sites that we are looking to develop or potential franchisees come to us with a site that they think would be a winner. If not, then we begin a search to assist you. We are very active in site selection and lease negotiations and we provide consultation for both, Our Director of Franchise Development is a licensed commercial real estate professional (in province of Nova Scotia) and would be happy to assist in the process. Who designs and builds the clinic? The franchisor has extensive experience with design and construction and will provide you with a help and guidance taking this stress out of your hands. Enlighten Laser has developed a network of designers, architects, general contractors from whom we select the right providers for your location. However, you will be provided with a set of basic, non-site specific, plans and can submit them to any service providers of your choice. All plans must be submitted to us for review and approval. We work very closely with the service providers and contractors and are involved in the construction process from start to finish. How long does it take to build a clinic? Once you receive possession of the leased premises from the landlord and you begin your leasehold improvements, it typically takes about 4 to 8 weeks for construction before you open the doors to the public. What types of qualifications does Enlighten Laser look for in a franchisee? Not everyone who applies for a franchise meets the criteria to become an Enlighten Laser Owner. For mutual success and satisfaction, we must ensure that every Spa Owner possesses the necessary skills, commitment level, dedication, work ethic, character and strong people skills required to succeed. We do require that franchisees have some experience in any of the following areas: cosmetics, healthcare, sales, marketing, finance, small business ownership, operations, beauty industry, supervisory and excellent interpersonal skills, love working with people. As well we require that the franchisee have knowledge of the community that their franchise will be located in and live in that area or in near proximity. This means you will know the community and will be able to build your business faster and more confidently. Franchisees must also bring a passion for helping others feel better about themselves and in communicating the high quality image and reputation of the Enlighten brand. Although financial soundness is a requirement it is not the deciding factor when short-listing candidates. We franchise only to individuals who will be hands-on operators, not to passive investors. How secure is the personal information I provide on my Application? The information is 100% secure and totally confidential. We do not share the information and it is used solely in determining your candidacy as an Enlighten Laser franchisee. In the event that you decide not to move forward or are not qualified as a franchisee your information is destroyed. What sales volume can I expect from a franchise? Given the demands of such a personalized service, it is our policy to seek applicants that are committed to providing their full time attention to the business. It is important to know your clientele and to build a relationship with them. The very nature of the operation requires a personal commitment to the business. However, we do accept franchisees that have a silent or investment partner as long as the franchise operator owns a minimum of 25% equity in the franchisee company. We do not accept absentee owners. What support is given for a new clinic opening? A successful opening is a critical step in the development of an Enlighten Laser franchise operation. We assist the franchisee and its management teams with a “hands-on” support team both before and after you open your location to the public. What ongoing support is given to a Franchisee? The main function of the franchisor is to assist the franchisee by supporting their efforts in all key functions ranging from operations, to training, real estate development, construction, accounting, human resources, information technology, marketing, new product development and more. This is provided for via ongoing training during the term of the franchise agreement. Spa visits and consultations ensure that all Enlighten Laser’s specifications and standards are in place. Do you insist on using a certain supplier? Enlighten Laser is very quality conscious and only the most well researched and proven products make our short list and then into our locations. 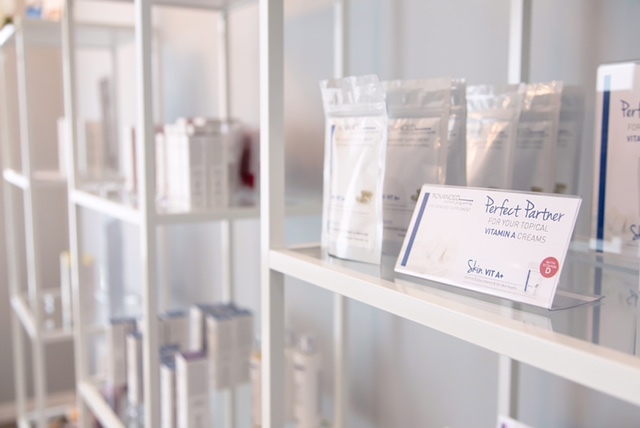 We only offer the best in skin, face, body and nail products, sourced from around the world as being recognized by the beauty industry for their innovation and demonstrated efficacy. It is therefore mandatory that all franchisees purchase their products only from approved suppliers. It is only in this way that we can assure that our clients have the same outstanding experience, and see the same benefits, in every Spa. Our purchasing is done through a designated supplier system, which ensures the reduced price benefit of bulk purchasing and stability in product inventory. What does Enlighten Laser offer over its competitors? 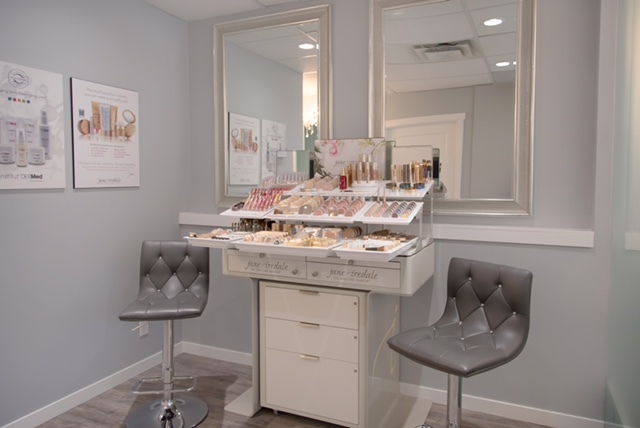 Enlighten Laser & Skin Care Clinic is the Fastest Growing Laser & Skin Care Franchise in Canada and geographically the largest in the country with locations from Nova Scotia to Alberta. Our competitors provide facial treatments, manicures and pedicures, or massages and facials, or hair removal, or some other combination of services BUT there is no one who offers the over 50 technologically advanced face and body treatments, (including manicures, pedicures and make-up) both with lasers and in aesthetics with the world’s most acclaimed brands. Once you have a client, they are a client for life; (unless they want a haircut…we don’t offer that….for now). Our prices rival any other spa or salon even at full price but the Membership Program is so affordable that anyone can sign up and enjoy the benefits of being their best self. When you join our team you will be in the company of an experienced franchisor who understand that the franchise relationship works both ways. Striving to ensure the success of our franchisees is our Number 1 goal. Our franchisees are our most important partners and we value and appreciate their dedication to their business. We thank all of you for inquiring about the possibility of becoming a member of the family. WHY BUY AN ENLIGHTEN LASER FRANCHISE? The only completely full service laser AND aesthetic face, body, hand and foot franchise offering over 50 services under one roof! Experienced and successful franchisor with over 30 years of experience and a seasoned executive team. Complete turnkey operation- leave all the stress of constructing, equipping and getting your franchise ready to open to us! Unique revenue program might guarantees revenue from Day One! Assistance with site selection and lease negotiations. Industry leading and comprehensive training on all aspects of operations including administration. Comprehensive equipment training directly from the suppliers. A marketing support team to assist you with creating customized local store marketing plans, social media tools and organization of events and public relations in the community. Clean and easy business to run and maintain. 24/7 access to a multitude of content-rich documents and manuals to fully prepare you to open and open your clinic successfully. Proven business methods that take the guesswork out of running a spa business. Continual commitment to research new treatments, product development, and improving our techniques. We are always interested in speaking with licensed Real Estate Brokers and Franchise Brokers to help us find locations and interested franchisees. We offer competitive compensation and an exciting opportunity to be part of the incredible growth we are experiencing. Enlighten Laser & Skin Care Clinics will cooperate on all properties and/or candidates and track who introduced us to them to ensure compensation is appropriately distributed.